You've decided to start selling crafts. Hooray! Now you need to figure out where to sell them and how to build and connect with a group of interested customers. Selling in person at craft shows and online at Etsy are the first obvious choices (and those options are good for many people). But there are a lot of other possible venues and strategies you can explore. As you consider each option, think carefully about whether it is right for you. One thing I learned early in building my own business is that just because an opportunity exists, doesn't mean it always makes sense to pursue that opportunity. Some venues won't appeal to your target audience, others will draw customers with price expectations that don't match with your work (You'll really struggle trying to sell your $100 necklaces at a small church basement sale where people are looking for $10 items!). When determining how to go about selling your items, it helps to have an understanding of your target customer, the nature of the sales venue, and your long term goals for your business. Many people dive into any opportunity available, selling their work anywhere they can rent a table. There's absolutely nothing wrong with a little trial and error, but keep in mind, the better you match the sales venue to your products, the better success you will likely have. There are lots of options and ideas for selling crafts and promoting your business on this page. If you're looking for information about a specific type of venue, click one of the links below to jump down to a specific topic. If you want to consider a lot of different options before you jump in, take your time and read through the full page. Whatever you do, start slowly. Focus on one or two sales venues at a time so you can devote enough time to mastering each strategy to make it a success. 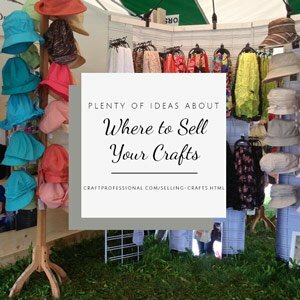 For many people, selling crafts at shows is a huge big part of building a craft business, so I've given it three dedicated sections on this site. 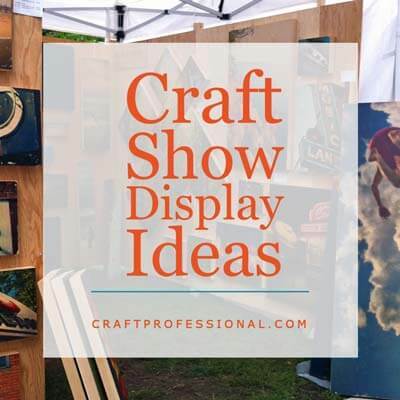 Click through on the links below to find oodles of articles about applying to craft shows, making the most of your day, creating a fabulous display, and choosing the right craft tent. 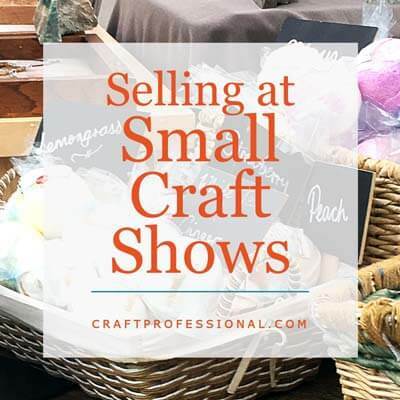 Here's the place to find general information about selling crafts at shows. 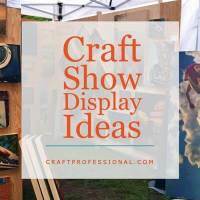 The page above links to information about finding good craft shows in your area, applying to juried art shows, getting great product photos, organizing yourself, and making the most of your day. Over the years, I've collected hundreds of photos of clever and effective craft booths. This resource will give you plenty of inspiration to create your own portable display. 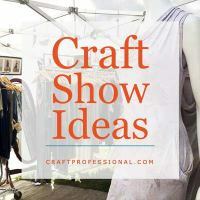 Need a craft tent for your next show? This section of the site links to information about popular craft tent brands, tips about what to look for in a portable canopy and what to avoid, and sources that sell craft tents. 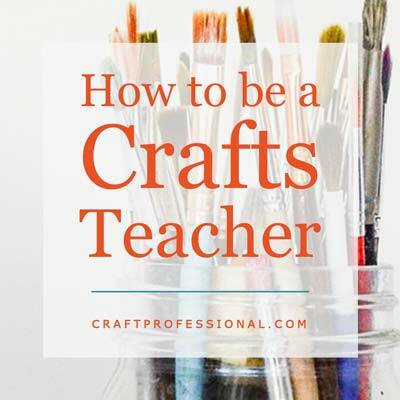 How to become a crafts teacher. 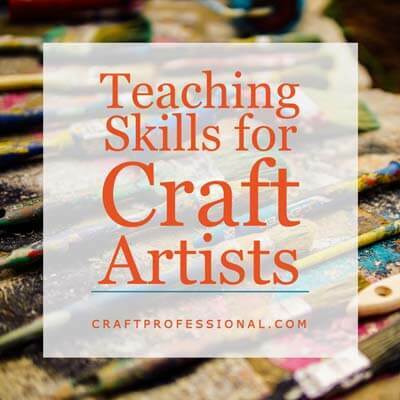 This 5 part series shows you how to develop a craft-based course to teach in your community. You'll find the overview of the entire series here. How to think through and work out the fundamental issues around teaching your particular craft, so you can start teaching in your community. 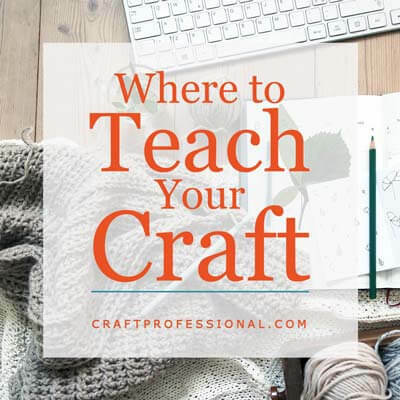 6 venues where you can teach your crafts, and pros and cons to consider with each teaching venue. 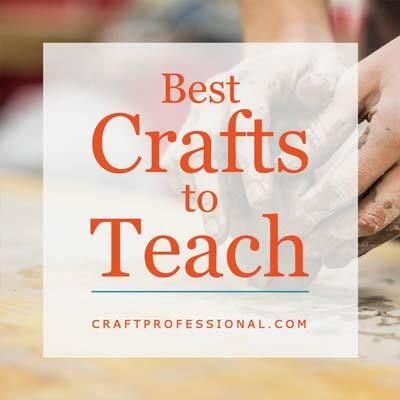 What kind of craft project or skill will you teach? Here's how to figure out what type of class will work well for you and be popular among your students. You know your craft, now it's time to develop your teaching skills. Here are some skills to take into the classroom to help make your class a success. 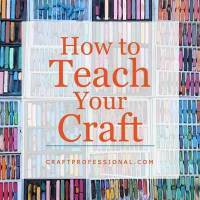 Teaching crafts isn't all about what you do in the classroom. 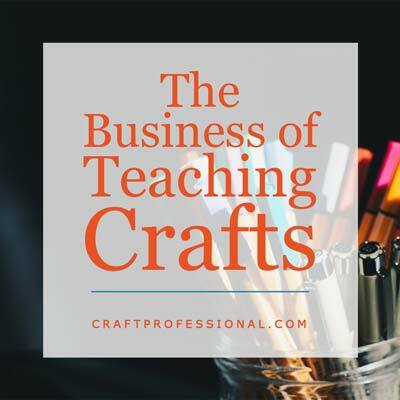 There's a whole business side of making your craft teaching dreams a reality. Here's where you work out the business-based logistics of your craft teaching business. I always loved selling at home parties. 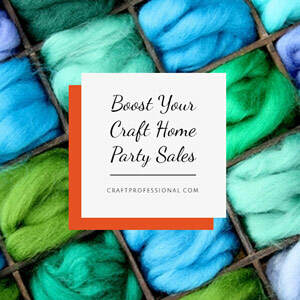 I think home parties present a very under-rated opportunity for selling crafts, especially when you're first starting out and want to get your feet wet and get to know how people react to your work while keeping costs low. Don't overlook this option just because it doesn't seem as glamorous as doing the local craft shows. For the right business, there is money to be made at home parties. Thinking about asking a few friends to host a home party? 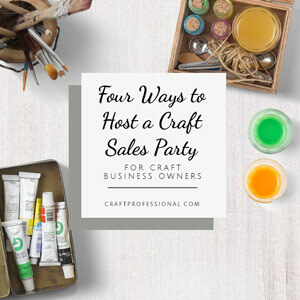 A home party can really be a fantastic way to get your craft business off the ground, especially when you're selling crafts in person. 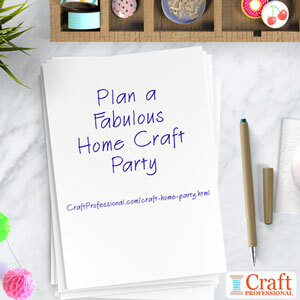 Home parties do require the same level of commitment as craft shows (there are no booth fees, no need to buy a tent...) and for that reason, they can be an excellent way to get started. A home party can take a few different forms, and each has its own pros and cons. You don't have to just stick to selling your finished products; there are other options that might work for you. Here are a few to consider. 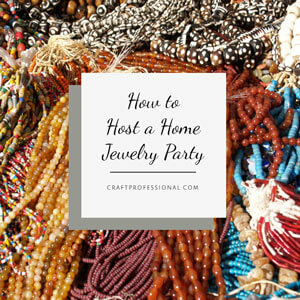 Here are 4 different strategies I have used to host home jewelry parties, some worked better than others. I'll share what worked for me, and what didn't work as well. Check out these tips to help you make the most out of each home party opportunity, and make things easy for your host. Spring or fall open studio tours can provide good opportunities to meet customers and sell your work at traditionally slower sales times. 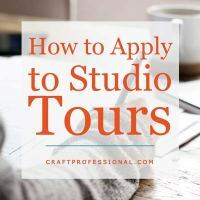 These tips will help you find a studio tour in your area, and work through the tour application process. 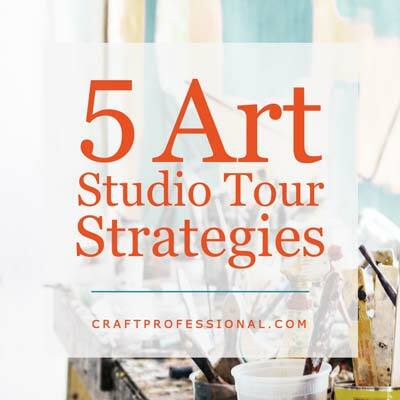 There are plenty of things you can do before the day of the studio tour to get more visitors to your studio and help the day run smoothly. 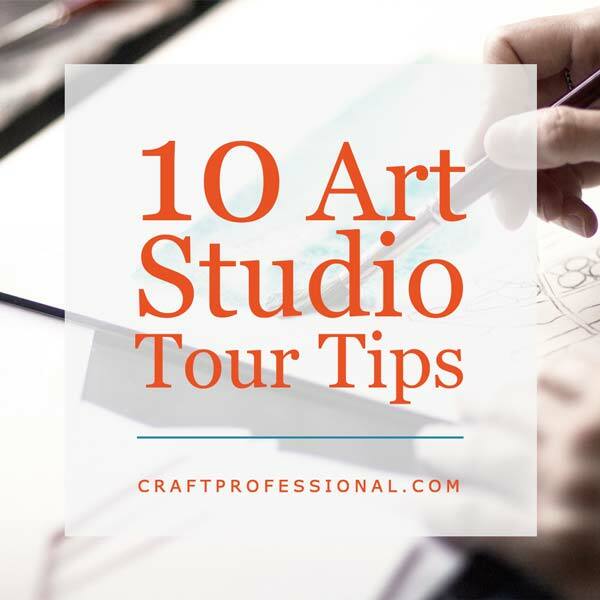 Here are ten tips to promote and prepare for a studio tour. The day of the studio tour has arrived! Here are 5 strategies you can use to make guests feel welcome in your studio. Do you live in a place with a strong tourism industry? Tourism provides an excellent opportunity to sell handmade keepsakes of your area. 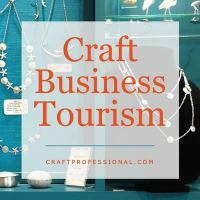 Here are several strategies for promoting your crafts to tourists. 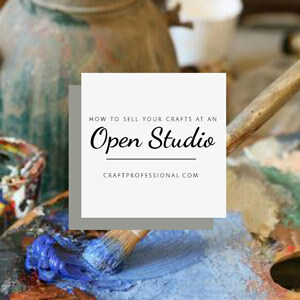 Opening up your studio to your customers is a low cost, excellent way to sell your art. You customers get an opportunity to learn more about your work and see your process, and you get to sell your work in the comfort of your own studio. Keep in mind, there are industries outside of the craft industry that may be a good fit for your business. A jewelry designer might do well at a wedding show, or a potter's work could fit at a home and design show. Think beyond the craft industry to find other types of shows that could be a good fit for your work. 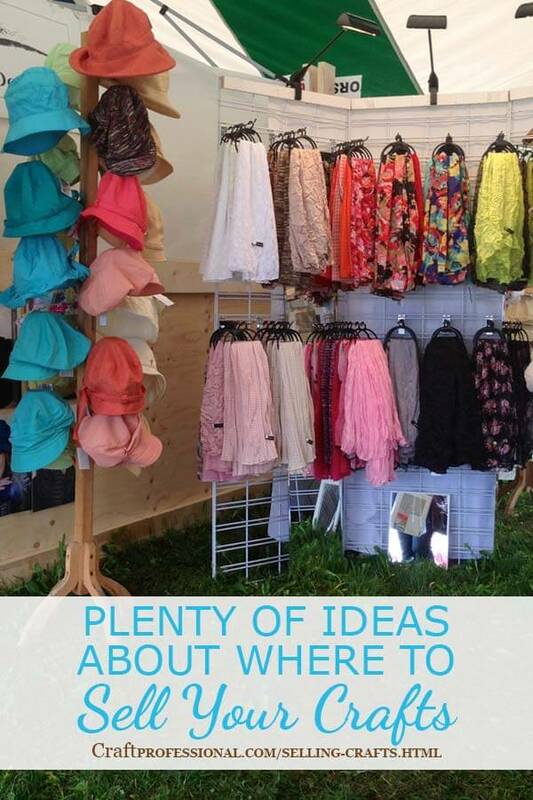 These venues may provide a profitable and consistent opportunity for selling crafts. Establishing a presence at a farmers' market each week allows potential customers to see your work on an ongoing basis and can help you to build relationships with those customers over time. Selling at smaller show venues has its pros and cons. Weigh out your needs and expectations to determine if this type of opportunity is a good fit for your business. My own experience with consignment has been completely positive. 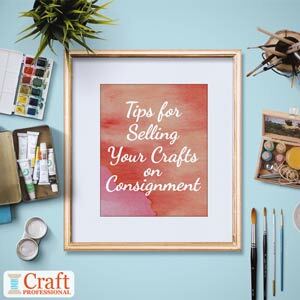 Here's what I've learned about selling crafts on a consignment basis. Securing wholesale customers can be a lucrative option if you are in a position to handle the volume of work. Wholesale prices are typically 50% of retail prices, but because your wholesale customer is buying a larger volume, you don't have the same sales expenses as you would if you were selling directly to retail customers. As long as you have priced your work appropriately, you can still make a profit at these prices because you won't incur the same time and expense involved in retailing items yourself. It will be important for you to determine your company's wholesale policies. Requiring a minimum purchase amount and a business number from your wholesale customer will ensure that you are not taken advantage of by someone who should really be a retail customer and is asking for wholesale prices. Some artists who sell wholesale list their terms right on their websites. Try checking websites of competitors who make work that is comparable in price and target market to your own work to get a sense of what wholesale terms are typical in your niche. 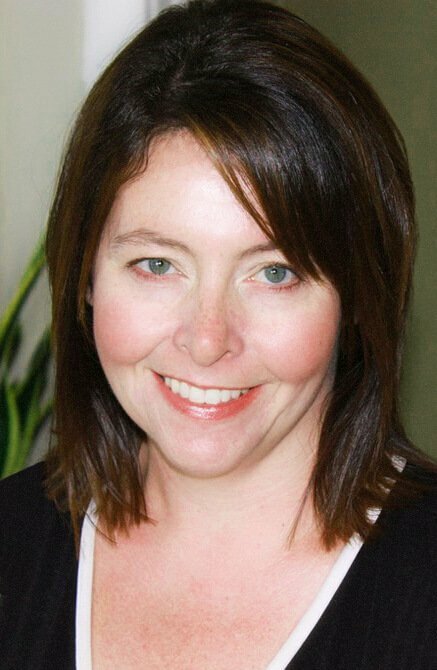 This information will help you to determine your own wholesale policies. 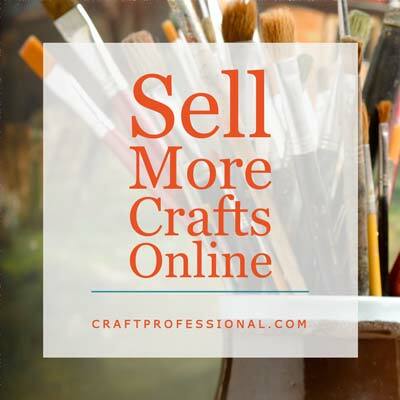 There are so many opportunities and strategies you can use to sell your crafts online. In fact, if you sell online, you can even develop products you may have never before considered. 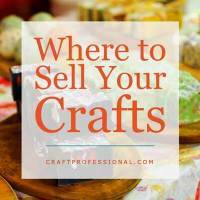 Because there are so many opportunities, and it's such a huge topic, I've dedicated an entire section to selling crafts online. Click through for plenty of information to help you start your online craft business. 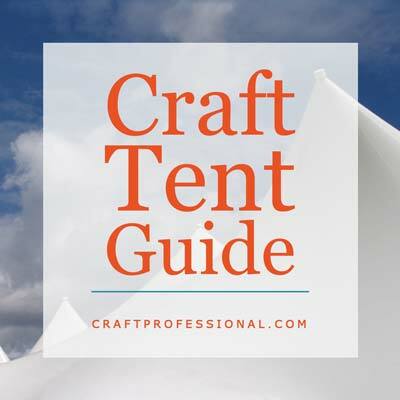 Selling at craft shows and need a tent? Do your research here. 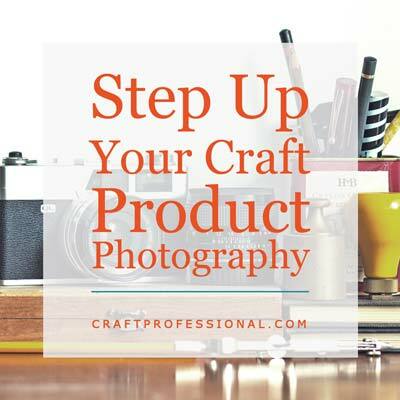 Sell more crafts at shows & online with better product photography.